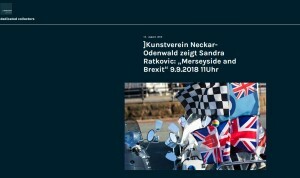 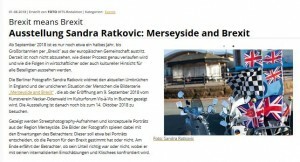 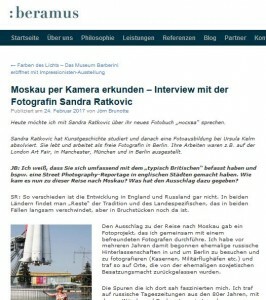 Interview with Sandra Ratkovic on Deutschlandradio! 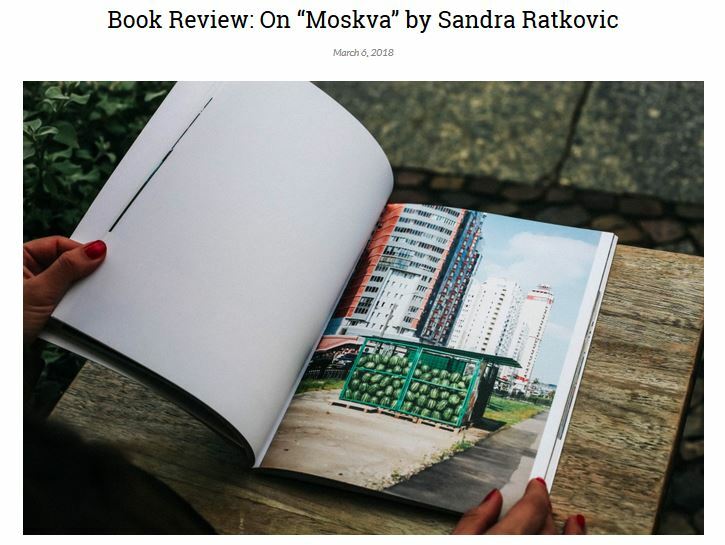 Spiegel writes about the photobook „Moscow“ by Sandra Ratkovic! 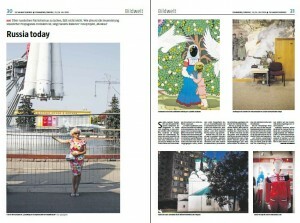 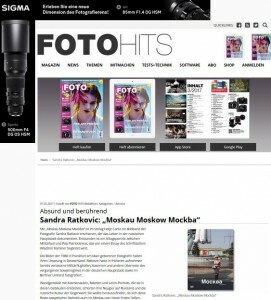 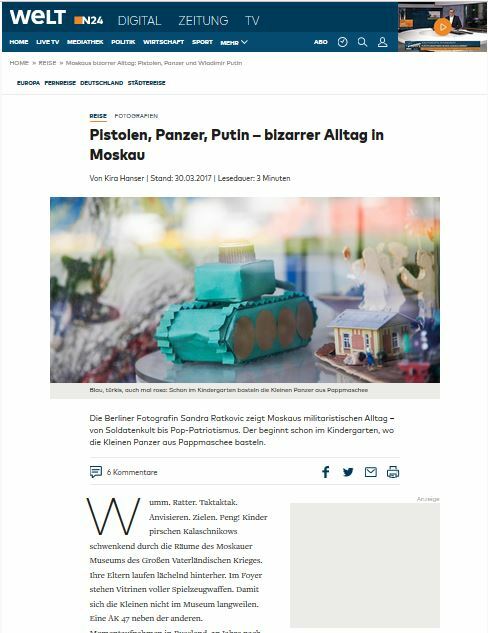 German newspaper taz features a 2-page-article on the photo project Moscow by Sandra Ratkovic! 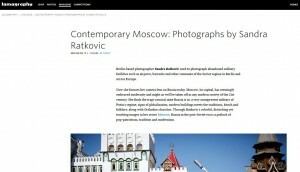 Lomography shows the photo series „Contemporary Moscow“ by Sandra Ratkovic! 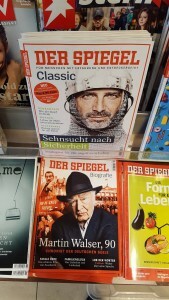 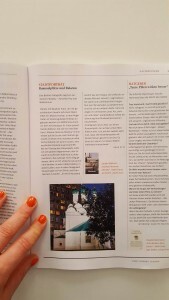 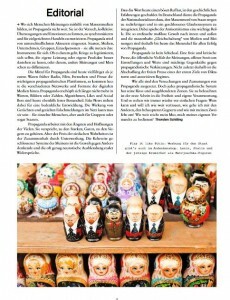 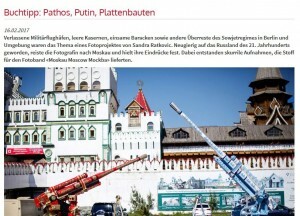 „Moscow“ is photo-book of the week in Neue Westfaelische Zeitung! 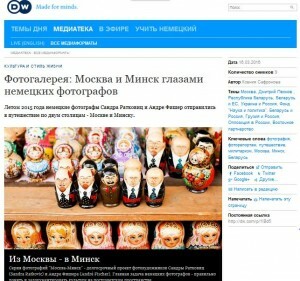 Deutsche Welle Russia publishes photos of Moscow by Sandra Ratkovic! 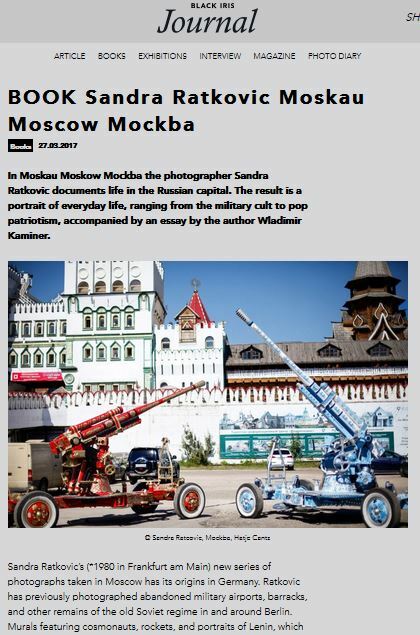 Photo series Moscow published in the photography magazine Kwerfeldein! 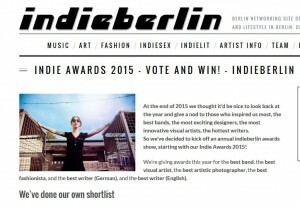 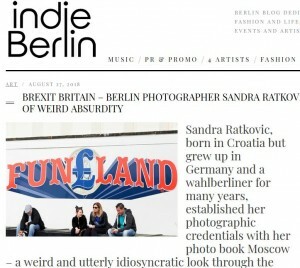 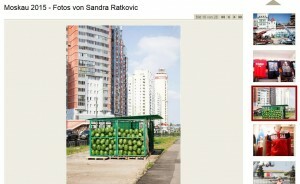 Sandra Ratkovic is nominated as best artistic photographer at the Indie Awards! 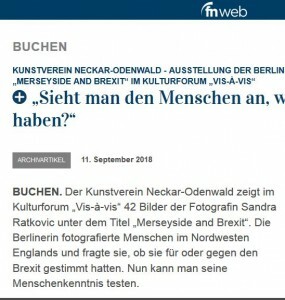 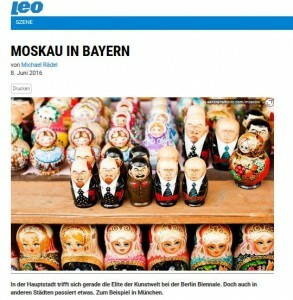 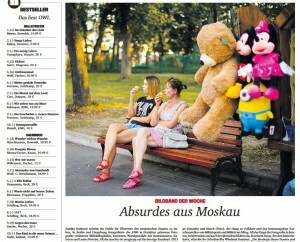 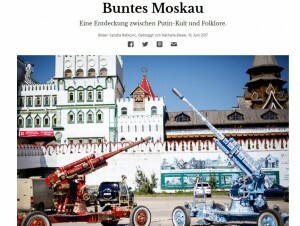 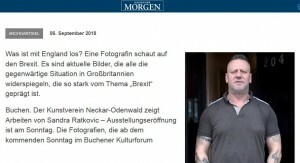 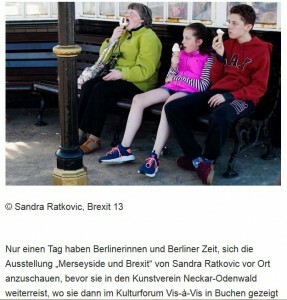 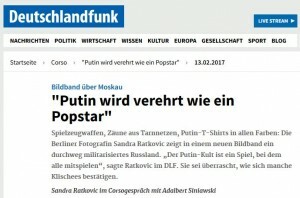 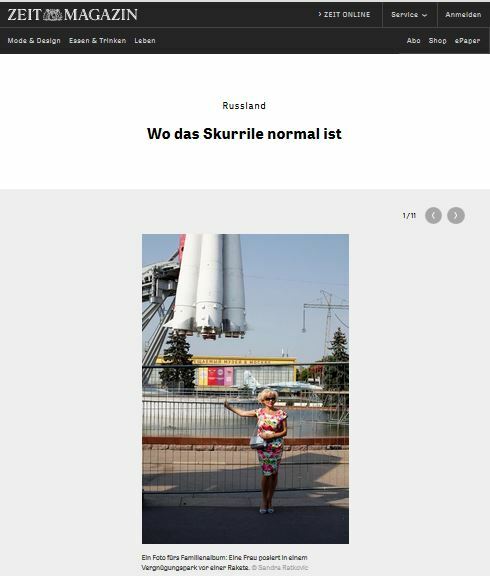 Tagesspiegel is showing the Moscow photo collection by Sandra Ratkovic! 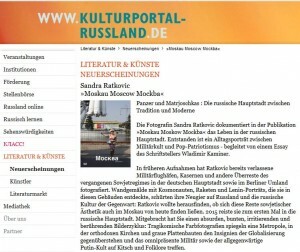 Moscow photos by Sandra Ratkovic published in Kaltblut Magazine!